This is how it used to be. Just a colorless landscape. How did they find the gold? Big Bear Valley has been home to a wide cast of characters throughout the years. The Serrano tribe was the first group of settlers in the area, spending a few millennia alone in the mountains until the Americans began exploring the area at the beginning of the 19th century. There were enough natural resources in the area, like clean water, plenty of hunting and areas for livestock to graze. 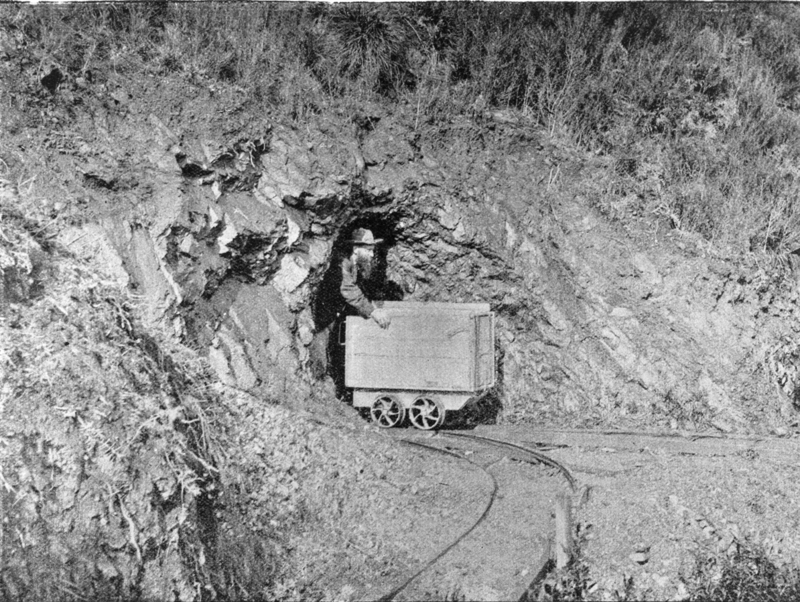 It was not until 1860 that William Holcomb discovered gold in the area, and even though he tried to keep this discovery secret, prospectors flooded the area. While the mining began to dry up, word of the natural beauty of the area began to spread and it transitioned to a resort town at the beginning of the 20th century, attracting everyone from the causal enthusiast to the avid outdoorsman. Hollywood even started to explore it, and by the 1950’s it was booming as a resort town. A rich vein of history runs through the town, and one of the main organizations that keep that history front and center is the Old Miners Association. After the Chili Cook Off, this does not seem like a silly idea. The Old Miners Association has been celebrating around Big Bear for sixty five years, keeping the frontier heritage and gold mining history front and center in all the events they plan. The season typically begins with the Old Miners Heritage Parade and Miss Clementine and Lucky Baldwin Scholarship Pageant, which are going on this weekend in Big Bear Lake. The Old Miners take over the town for a day, parading through town in classic vehicles and clothes. The Cave will host the pageant to determine who the next Miss Clementine and Luck Baldwin will be, awarding a scholarships for authentic dress and frontier living. It is going to be a big weekend, so they are going to need a few weeks of rest. In the middle of July, the association will be having more delicious events, the main one being the Big Bear Chili Cook Off and Outhouse Races. An appropriate combination of events for some people. It will be an all day, free event for the chili (and salsa) enthusiast, so come hungry! If you take your tasting a little more seriously, they also offer a tasting kit for a small fee. The week after the chili tasting, the festivities move over to Fawnskin for a weekend of entertainment. The Moose Lodge will be hosting multiple events like the Moose Festival, the Ride and Tie Race for mountain bikers, see the World’s Shortest Parade, known as the Old Miners’ Doo Dah Parade, and wrapping up the day with the Loggers and Miners Jubilee. If you love the Old Miners Association and enjoy the events they put on, you can even become a member and enjoy some extra benefits. It helps to support all of the festivals and scholarships they offer, and you get to support a great partner to the community. We are one of their lodging partners, so mosey on over to our reservations page and set yourself up in one of our comfortable cabins with breathtaking views of Big Bear Lake. Keep an eye out for other possible Old Miners Association events; they are a wily bunch, and you never know what they have up their sleeve! Gallery | This entry was posted in What to see and do and tagged Big Bear CA, big bear lake, events, history, Lucky Baldwin, Miss Clementine, Old Miners, Old Miners Days, parades, summer, vacation, What to Do. Bookmark the permalink.